Bit by bit, I’m cleaning out my garage. It had gotten out of control as I stored things for relatives and friends and kept things I might sell in a garage sale or might use later. I’m still sorting. There was a moment when I thought I might be on the brink of being a hoarder, but then I recruited some of my grandsons to help me dig out and discovered some hidden bonuses. First, I found a box of old directories and date books, which I have kept since 1975. I have actually used them to find dates for things nobody else can find. There were a few directories from groups I volunteered with that contained a list of past presidents that helped us put together a history of an organization. There were other directories that helped me remember names of people I worked with. The date books have helped me date old photos and events through the years, not to mention giving a timeline of my life when I need it. I confess to being a keeper, a keeper of old photos, letters, memories. There is a difference in being a keeper or being a hoarder. I hope. There was a lot of junk in the garage, still is. 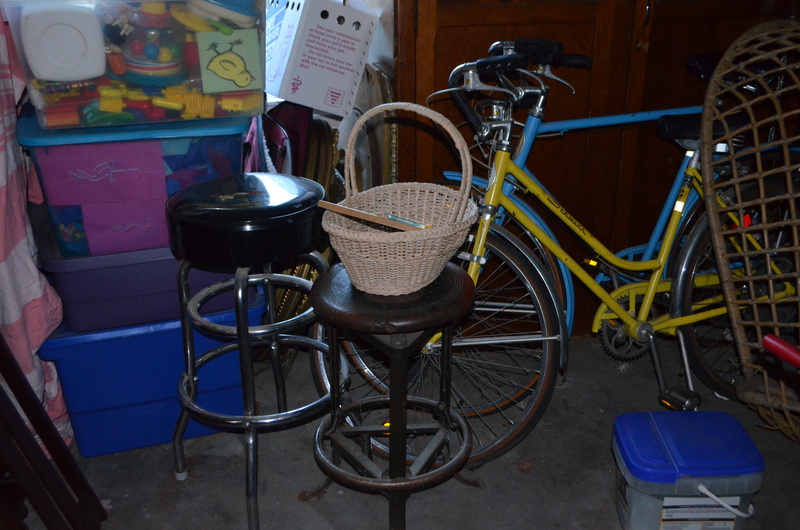 The biggest decision was not to do a garage sale which would take an inordinate amount of time and energy, but to start throwing away and giving away. Local charities are glad to get stuff like I had in there. Some of it was leftover merchandise from when I owned a gift shop and I’m thrilled they can profit a little from it. The best part was watching my grandsons discover things and ask questions. There was a conversation about things that belonged to their grandfather who died before some of them were born or things that belonged to their uncle. They wanted to take things home with them, which I let them do. They found out things about their relative and about me that they didn’t know. I gave one who loves making movies a camera that was my father’s. Later I found a photo of my father using one of his cameras, emailing it to him to make a lasting connection. When my mother died, my sister and I spent weeks going through her things. She had already cleaned out a lot of cabinets and drawers and closets and given us some precious items, but there is always the chore of touching every single thing in a house, every little bobby pin (remember those? ), scrap of paper, piece of clothing in drawers, closets, a house. A lot of stuff. It turned out to be fun, full of memories and stories and laughter, a last way to connect and learn about her life. I’ve heard other people say this, too, and it’s true that the things people want in the end are the old cookie jar or some object that strikes a memory rather than the most expensive things. So, I continue to sort and clean out and am close to being able to get my car in there again. There is still much that needs to go, and it gradually will, I promise. I want to leave things that my kids can laugh about, wonder why I kept it and figure it out, discover something new about me, or remember something fun from our lives. My goal is to be more historian than hoarder. I’m digging through, excavating so to speak, a job that will never end. I guess I should be feeling guilty about all the mess! See you later.